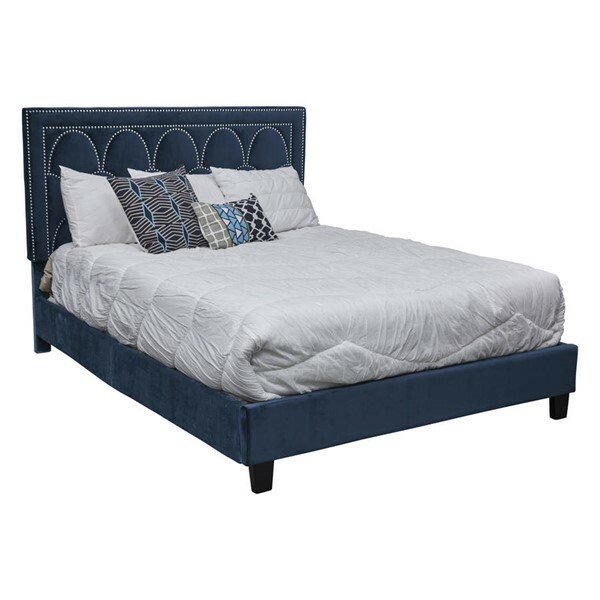 Bring the elegance and beauty of the Jazz age into your home with this Art Deco-inspired upholstered bed. The marquee-like nailhead designs in the velvet-finished headboard add playful silver arcs to a rich navy blue color. This luxe design makes the perfect embellishment to an indulgent room theme, particularly when paired with your favorite distinctive linens. Innovative hinged side rails make setup easy, and a sturdy hardwood frame adds durability for years of beauty and dependability.